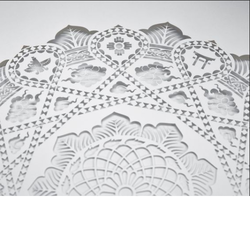 Fabric Laser Cut solutions offered to make the work faster, more accurate and cleaner patterns. With our capability to offer latest looks in appliqué as per the prevailing trends in the market, the end solutions can be provided on a wide range of fabric choices as per the specific requirements of customers. Further, our expertise also lies offering laser cut work on even patterned fabrics that enhance the overall look and feel of the work. The use of laser cut work also allows us to do much finer details as well as bring four sophisticated designs on the fabric. Expertise in offering laser cut work support for embroidery that makes the work faster, more accurate and cleaner patterns. Capability to offer latest looks in appliqué as per the prevailing trends in the market. End solutions can be provided on a wide range of fabric choices as per the specific requirements of customers. Expertise in also laser cut work on even patterned fabrics that enhance the overall look and feel of the work. Laser Fabric Cutting Service offeredcomprises highly customized and flawless laser cutting service support utilizing latest laser cutting machines. Here, our in-depth knowledge of involved embroidery tools allows us to come up with enchanting patterns as per the specific tastes of the customers. With our capability to offer thread embroidery work to clients on any type of fabric or garments, our expertise also lies in offering end solutions as per specific client's preferences or requirements. The use of finest quality raw materials and capability to deliver customized services makes us best solution providers in this business. Expertise in offering highly customized and flawless laser cutting service support utilizing latest laser cutting machines. In-depth knowledge of involved embroidery tools that allow us to come up with enchanting patterns as per the specific tastes of the customers. Capability to offer thread embroidery work to clients on any type of fabric or garments. Laser Cut Work offered allows us to introduce flawless needlework technique for creating enchanting patterns with our expertise in offering cut work on different fabrics as desired by the customers. Here, the use of latest laser technology support also allows for creating more precise and intricate patterns on fabrics as well as allows us to successfully come up with unique designs as per the specific tastes of customers. Use of latest laser technology support that allows for creating more precise and intricate patterns on fabrics. 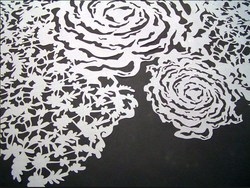 Use of laser for cutwork also allows our experienced designers to successfully come up with unique designs as per the specific tastes of customers. Looking for Laser Cut Work ?